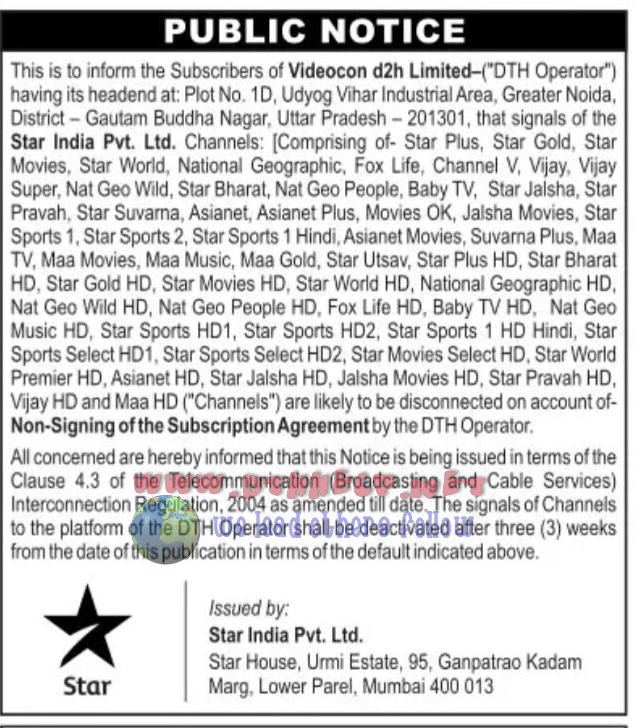 Notice came on leading news papers mention removal of all Star Network channels from Videocon D2H due to non signing of the subscription agreement. It is mentioned that the channels will be removed in 3 weeks time as per the notice period. Earlier similar notice came for Airtel but Star Network channels.